Nigeria has removed more than 20,000 non-existent workers from the government payroll following an audit, leading to savings of 2.29bn naira (£8.3m) from its monthly wage bill, the finance ministry has said. Corruption and mismanagement have long stunted development in Africa’s biggest economy and top oil producer, and are now exacerbating the impact of a sharp fall in global crude prices. This showed the names of some civil servants receiving a salary did not correspond to the names linked to the bank accounts. In some cases individuals were also receiving salaries from multiple sources. “The federal government has removed 23,846 non-existent workers from its payroll,” said Festus Akanbi, special adviser to finance minister Kemi Adeosun who took office in November and soon after set up an efficiency unit to cut waste. “Consequently the salary bill for February 2016 has reduced by 2.293bn naira when compared to December 2015 when the BVN audit process commenced,” said Akanbi, adding that those removed had been paid by ministries, departments and agencies. The ministry said it would now undertake “periodic checks and utilise computer-assisted audit techniques” and also introduce tougher monitoring of new entrants to the civil service to avert further abuse of the system. The administration of President Muhammadu Buhari, who took office last year vowing a crackdown on graft, said it wanted to cut the costs of running the government rather than slash jobs to help tackle Nigeria’s worst economic crisis in years. “The ongoing exercise, which is part of the cost-saving and anti-corruption agenda of President Muhammadu Buhari’s administration, is key to funding the deficit in the 2016 budget,” said Akanbi. The ministry, which said personnel costs represent more than 40% of total government expenditure, said it had so far checked the details of about 312,000 civil servants. Akanbi said the ministry was working with the financial crimes agency and the National Pension Commission to identify irregularities and recover salaries and pension contributions related to the deleted workers. Nigerian President Muhammadu Buhari has ordered an investigation into communal clashes, which have left hundreds dead in central Benue state. Mr Buhari expressed "deep shock" at the past week's violence between herdsmen from the Fulani ethnic group and local farmers, an official statement said. Several thousand people have been displaced, according to local media. Benue has a history of violent attacks and reprisals between semi-nomadic herdsmen and farmers. The clashes are often linked to cattle raiding. Mr Buhari called for unity among Nigerians, saying: "There should not be any reason why Nigerians of any group or tongue cannot now reside with one another." Different groups of Fulani militants killed a total of more than 1,200 people in 2014, meaning that if taken together they would be the world's fourth deadliest militant group, according to the most recent Global Terrorism Index. The scope of their attacks is now enough to "pose a serious threat to stability", the report said. The communal violence in central Nigeria is not connected to the six-year insurgency by Islamist militant group Boko Haram in the country's north-east. Boko Haram was the world's most deadly militant group, according to the report. New Nigeria president Muhammadu Buhari has made good on a promise to reward the players after the 1985 tournament when he was the military head of state. Buhari had promised the players a house, stock in the central bank and a scholarship and other incentives after their success but soon after he was ousted by another military regime and the country's government never fulfilled his pledges. Following Buhari's election as president last year he announced in January a 2m naira ($10,000; £7,000) reward for each of the players and 1.5m for the officials. "He's truly a man of his word and on behalf of myself and the team I say a big 'thank you' to our president," added Ugbade. "I would also like to thank the sports ministry, Alhassan Yakmut of the sports commission, the Nigerian Football Federation, both local and international media, and everyone involved in this great story." Another of the winning squad Jonathan Akpoborie, who went on to represent the country at senior level, told BBC Sport: "I have spoken to some of my colleagues and they are happy that the president has delivered on his promise. "This gesture - and not the amount involved - will change the perception of unfulfilled promises in our country." However, the rewards came too late for Kingsley Aikhionbare, who died in London in 1996. At the presentation to the players a minute's silence was held in his honour. The Under-16 World Championship was contested three times before it was changed to the Under-17 world Championship in 1991. Nigeria won the Fifa under-17 World Cup in 1993, 2007, 2013 and 2015. The Nigerian government will offer free healthcare to 100 million Nigerians in the next two years under the country’s new health agenda, the Minister of Health, Isaac Adewole, has said. Pregnant women across Nigeria will also enjoy free antenatal and delivery services, particularly at the primary healthcare level, the government said. The minister disclosed this while speaking on a current affairs programme, The Osasu Show, broadcast weekly on African Independent Television. Mr Adewole said in order to achieve that target, the government would revitalise the primary healthcare services and adopt “the universally accepted concept of one primary healthcare centre per political ward”. Women with uncomplicated pregnancy and those with uncomplicated past will be expected to visit the primary healthcare centre, Mr.Adewole said. “One of the things we want to do under the revitalised PHC programme is that each of these revitalised, reinvigorated PHC will have an industrial borehole so that we can offer water to the people, clean drinkable water,”‘ Mr. Adewole said. “There will be solar electricity so we can have the ability to keep our vaccines in safe conditions. We will then use this new reinvigorated primary healthcare centres for the focus of community development nationwide. “We are not going to import someone from Port Harcourt to work in Sokoto. We are looking at people in the Sokoto environment who speak the language and understand the culture. Mr. Adewole said for a start, the federal government would deliver 110 primary healthcare centres in the next three months across the country. The minister said President Muhammadu Buhari’s administration was different from other past administrations in Nigeria. Mr. Adewole said the federal government also intends to change the national health insurance from being voluntary to compulsory and universal, so that the “healthy will care for the sick and the rich will care for the poor”. Sunday Oliseh has resigned as coach of Nigeria citing contract violations, unpaid wages and lack of support. Oliseh, 41, had been in the job for only eight months. Nigeria must seek a quick replacement to oversee next month's crucial 2017 Africa Cup of Nations qualifiers against Group G leaders Egypt. "Your contractual violations and the interest of the nation necessitates that I tender my resignation," he wrote to the Nigeria Football Federation. "So little help is being rendered me in getting the players to give their best and very vital conditions and advantages to the team play are also being sacrificed... my several e-mails and others seeking your aid to effectively carry out my duties were ignored." The NFF technical director Shaibu Amodu, who has managed the national team on four occasions, is widely expected to take charge of the team on a temporary basis. Former Nigeria captain Oliseh endured a turbulent reign as Nigeria boss after succeeding Stephen Keshi in July 2015. Some high-profile players have retired, including goalkeeper Vincent Enyeama - Nigeria's most-capped player, who quit after he was replaced as captain. Two weeks later striker Emmanuel Emenike also announced his retirement from international football. In early February, a frustrated Oliseh posted an eight-minute video rant on his own website to hit back at what he called the "insanity" of his critics. He had come under pressure after Nigeria failed to get past the group stages of the 2016 African Nations Championship (CHAN) in Rwanda. The coach later apologised to the NFF for his outburst aimed at the Nigerian media as well as some of his former international team-mates. Oliseh had also gone public with the money problems affecting his team during the continental tournament in Rwanda, to the embarrassment of his employers. Nigeria face seven-time African champions Egypt in back-to-back 2017 Nations Cup qualifiers next month. They are two points behind group leaders Egypt after two rounds of matches with only group winners guaranteed automatic qualification to the tournament in Gabon. Sony Music Entertainment today announced it is expanding its operational presence across Africa as part of a long-term strategy to open offices in a number of key markets in the region. The company has opened an office in Lagos, Nigeria to serve as the new hub of its on-the-ground operations in West Africa, and has named music business entrepreneur Michael Ugwu General Manager for the West African region. It also recently began the process of registering to do business in Nairobi, Kenya, which will anchor the Sony Music's physical operations in East Africa. In connection with the opening of operations in Lagos, Sony Music recently signed Nigerian superstar Davido to a worldwide deal. In East Africa, SME has partnered with local artists in the region as well, recently signing Redsan amongst others. "Expansion in Africa has been part of our strategy for several years," said Adam Granite, President, Northern & Eastern Europe and Africa, Sony Music International," said Sean Watson, Managing Director of Sony Music Entertainment Africa, "We are really keen to partner with African artists to deliver local, African and global success stories. With over 800 million people living in Sub Saharan Africa, the African continent is a market with huge potential for local artists wanting to expand their horizons." These moves build upon Sony Music's existing business initiatives in Africa, where the company is already a market leader. Sony Music has long had offices in South Africa, in both Johannesburg and Cape Town, and throughout the continent, Sony Music earns revenue from partners including Vevo, YouTube, Apple Music and iTunes. In addition, in West Africa, music content is currently available through MTN Nigeria's service via IMI, and in East Africa it currently conducts trade with Kenya's largest mobile network operator, Safaricom, a company that boasts in excess of 10 million CRBT subscribers. South African mobile phone operator, MTN Group, withdrew its lawsuit against Nigeria’s National Communications Commission, over a N780 billion fine, and paid N50 billion toward a possible settlement. A judge in Lagos last month gave both parties until March 18 to reach a settlement. The settlement was opted for after MTN had asked the court to arbitrate over the dispute, saying the NCC had no legal grounds to order the fine. MTN said it would withdraw its court challenge in an effort to reach an amicable settlement and make a “good faith payment” of N50 billion toward a possible settlement. The group makes most of its sales in Nigeria. “This is a sign that the fine could be reduced much further. “There is some sort of negotiation taking place and the parties are migrating toward a common ground,” said Dobek Pater, Managing Director of Africa Analysis. Nigeria has been trying to halt the widespread use of unregistered SIM cards amid worries they are being used for criminal activity, including by the Islamist group, Boko Haram. MTN said in a statement that it resolved to withdraw the case in response to a request by the NCC to afford it the chance to negotiate an amicable settlement. MTN Nigeria Chief Executive Officer, Ferdi Moolman, said the decision to withdraw the case was to create a conducive atmosphere for further negotiations with the Nigerian authorities. The NCC had imposed a N1.04 trillion fine on MTN Nigeria in October 2015, for its failure to disconnect 5.1 million improperly registered lines within the prescribed deadline. The penalty was based on fining the company N200, 000 for every unregistered SIM card in use. Although the fine was subsequently reduced by 25 percent to N780 billion, MTN Nigeria had refused to pay, saying doing so could force the company to go under. The company later went to court. Mr. Moolman said with the withdrawal of the court case and the payment of N50 billion that the company was hopeful about reaching an amicable resolution of the crisis soon. “Along with the authorities (NCC), it is clear that we are collectively committed to working towards a solution that is of mutual benefit to all parties. “Our industry in Nigeria is an incredibly important example of the remarkable progress in ICT, particularly as a much needed catalyst for socio-economic growth and development at this time,” Mr. Moolman said. It is not clear whether the NCC has accepted the condition or terms under which the case was withdrawn by MTN. The Director of Communication, NCC, Tony Ojobo, told PREMIUM TIMES it was too early to comment. He did not elaborate. At a bilateral meeting between Nigeria and Saudi Arabia in Riyadh hosted by the ruler King Salman Bin Abdul-Aziz, the two leaders accepted the fact that their two economies are tied to oil and that all cannot be well with both countries when the world oil market is unstable. They therefore committed themselves to doing all that is possible to stabilize the market and rebound the oil price. The two leaders did not expatiate ‎on modalities they plan to adopt in raising oil price. The two leaders, who engaged in extensive discussions on regional and global issues, also agreed that terrorism posed a common threat to their states and would require close cooperation to prevail over the threats. President Muhammadu Buhari, who was making his first pronouncement on the invitation to join the coalition of Islamic states against terror spearheaded by the Saudis, congratulated the Kingdom on its formation. “Even if we are not a part of it, we support you. I must thank the Kingdom of Saudi Arabia for the recent creation of a coalition to address the menace of international terrorism. Nigeria will support your efforts in keeping peace and stopping the spread of terror in your region. This is in consonance with our own commitment and on-going efforts in seeking to stamp out Boko Haram terrorists from the West African sub-region and Lake Chad Basin Commission (LCBC),” the President said. He thanked the Saudi government for its continuing support to Nigeria in the fight against terrorism. Turning to the menace that Libya has turned into, President Buhari regretted that the late Libyan leader Muammar Ghaddafi recruited, trained and armed citizens of many states in the Sahel region. He cited Burkina Faso and Mali as the main victims but expressed happiness that the countries neighboring the Lake Chad have tightened their ranks to finish off the Boko Haram threat. He and King Salman hoped that the Libyan factions will soon see reason to reunite and fully restore their own country so as to save the world from further terrorism spin-offs from that country. He welcomed the support of the Nigerian government for the new anti-terrorism coalition and implored the President to consider its full membership. “I now instruct my team to go and sit down with your relevant agencies to push forward cooperation between our states,” the King said. Nigerian President Muhammadu Buhari vowed to punish those who made unauthorized alterations to the 2016 budget proposal that he presented in December, after civic groups criticized the spending plan for being riddled with errors and wasteful provisions. Buhari has set out a record 6.1 trillion naira ($30.6 billion) budget this year to help revive an economy reeling from the impact of the low price of oil, which was the source of about two-thirds of government revenue in 2014. Groups, such as Lagos-based pro-transparency organization BudgIT, highlighted “suspicious and wasteful” allocations in the spending plan which have sparked public outrage. The budget controversy began last month when lawmakers alleged that the original document presented by Buhari on Dec. 22 had been substituted. The president said in a Jan. 19 letter to lawmakers that the original document contained errors. The government was the first to detect initial errors in the budget and Buhari wrote to lawmakers to correct them and welcomed further criticisms, Garba Shehu, his spokesman, said on Feb. 11. Buhari fired the director-general of the budget office, Yahaya Gusau, on Feb. 15, replacing him with former banker Tijjani Abdullahi. Nigeria’s Parliament is set to pass the budget no later than the second week of March, Abdulmumin Jibrin, chairman of the House of Representatives’ Committee on Appropriation, said last week in the capital, Abuja. Nigeria has backed Saudi Arabia and Russia in freezing oil production while giving Iran and Iraq a way out to regain some of their lost market share due to sanctions and war. According to the Petroleum ministry, oil production will be 2.2 million barrels a day this month, unchanged from January. But production may increase in future to meet local demand. Saudi Arabia, Russia, Venezuela and Qatar agreed last week to keep production at January levels, as long as others follow suit. This is in an effort to revive prices from a 12-year low. Iran's production has however slumped since international sanctions were imposed on its exports, and Iraq is seeking to rebuild following years of war and under-investment. He described the development as a historic moment for the state, saying it was indeed a thing of joy coming at a time when the government was still basking in the euphoria of the successful hosting of an international marathon. Mr. Ambode said the Access Bank Lagos City Marathon was a major pointer to how Lagos could actualise its dream of improving the Gross Domestic Product (GDP) of the state using sports as a major instrument. The governor, who restated the importance of sports to integration and development, said sports were the future of service to create a platform for youth employment and youth engagement in Lagos. Mr. Ambode also pledged the full support of the government to the Nigeria Football Federation (NFF) in hosting the first ever Beach Soccer African Nations Cup in Lagos between Dec. 10 and 23, 2016. Earlier, Pau Vilanovai Vila-Abadal, Director of Business and Member of FC Barcelona Management Board, who led the team, thanked Mr. Ambode for the support given to them so far in actualising the project. Also speaking, NFF President, Amaju Pinnick, congratulated Mr. Ambode over the hosting of the Lagos International Marathon, saying it was one of the most successful tournaments in the world. He added that Lagos, under Mr. Ambode and his predecessors, had always been a major destination for sports. Mr. Pinnick said that the Confederation of African Football (CAF) had just approved the hosting of the first ever Beach Soccer African Nations Cup in Lagos in December. Nigeria plans to train as many as 10,000 youths a year for skilled work in the Delta region to try to stop them attacking and stealing oil from pipelines, the minister for the Niger Delta, Usani Uguru Usani, said on Monday. Attacks on oil and gas facilities have become more frequent since authorities issued an arrest warrant for a popular former militant leader, Government Ekpemupolo - Tompolo - who had led gangs of "boys" fighting for a bigger share of oil revenues. To help address those grievances, the government plans to build nine vocational centers, Usani told Reuters. "Between 5,000 and 10,000 will be trained yearly," he said. The first centers would train young people in leather goods manufacturing, mobile phone assembly and e-commerce. Some would also find work at a new processing plant for cassava, part of the government's plan to boost the agricultural sector, he said. He gave no launch date for the centers. Buhari was elected in 2015 on an anti-corruption ticket and promised to end Nigeria's dependency on oil by attracting investment for sectors such as farming and infrastructure. But slumping oil prices have forced him to seek loans from the World Bank, China and international capital markets to meet those promises. He has also extended a 2009 amnesty, brought in by his predecessor, under which some 30,000 former militants were to be retrained. Widespread corruption saw the funds disappearing or ending up as cash benefits for the "boys", critics say. Usani said authorities were doing their best to boost security in the Delta but that the task was difficult because the swampy terrain meant that the pipelines were hard to access. "The terrain on which the (oil) flows are running is challenging and may not always be attack proof," he said. "(But) ... effective action has been taken." He also told Reuters that the government was planning to build roads and hospitals in the Delta, where previous projects have not made it beyond the drawing board, but he said the scope was unclear due to uncertainty over the budget. Buhari was forced to withdraw his 2016 draft budget because ministers could not agree on revised public spending plans. Following a crash in freight rates, three major shipping lines have withdrawn their vessels and diverted same to other routes in the past four months. Due to crashing freight rates, it has become unprofitable for shipping lines to operate along the Asia-West Africa routes. The shipping firms, Nippon Yusen Kasha popularly known as NYK Lines (operated by Japanese), Taiwan’s Evergreen Line, and Messina Line, were forced to withdraw from the West Africa route due to growing losses as a result of the twin jeopardy of low freight rates and declining volumes. The top Japanese shipping line had operated the Asia-West Africa service, which it dubbed WAX, alongside Hapag-Lloyd and Gold Star Line (GSL). The service featured two calls in Nigeria, Lagos-Apapa and Lagos-Tincan. Evergreen Line has also announced the withdrawal of its vessels from the Asia-West Africa route, which had regular calls at the Lagos Port Complex Apapa. Hull Blyth Nigeria Limited, which acts as shipping agent to Evergreen Line confirmed the withdrawal of the service to the media. Managing Director, Hull Blyth, Christian Holm, said: “After three years of serving the market, Evergreen decided to discontinue their service due to losses sustained due to widening disparity between rate levels and costs. Speaking in similar vein, Chairman, Shipping Association of Nigeria, (SAN) Mr. Val Usifo, described the development as a dire situation. He said: “The withdrawal of shipping services by these firms does not affect Nigeria alone but the entire region. Experts are baffled over a killer disease - that has yet to be identified. It's killed at least 25 children in Lagos so far. Health authorities have taken samples and are analysing them. Ekiti State has the highest number of residents, among Nigerian states, who defecate openly, two agencies have said. The United Nations Children’s Fund and the European Union state that two in three Ekiti residents engage in open defecation. This is contained in a report jointly presented by the organizations at a two-day media networking and alliance building workshop on Water Sanitation and Hygiene held at Ijero Ekiti. The programme, which ended on Saturday, was sponsored by both foreign organisations; and also featured Open Defecation Free, ODF, campaign. The report stated that of the state’s 2.7million population, 1.8million engage in the unhygienic practice. It said the Ekiti figure represents 60.8% of Nigerians who defecate openly. The organisations said over 2.5 billion people lacked access to improved sanitation globally, out of which one billion were engaging in open defecation. The UNICEF/EU delegation, led by Mohsena Islam, a Water Sanitation and Hygiene specialist from UNICEF, had earlier embarked on a field trip with Ekiti Media WASH group to Asasa and Temidire Olojofi farm settlements in Aramoko Ekiti, to assess compliance with the campaign against open defecation. Mr. Mohsena disclosed that several achievements had been recorded through UNICEF/EU WASH programme in Ekiti, using Gbonyin and Ekiti West as pilot councils in advocacy for open defecation Free and WASH.
“In Ekiti , an estimated number of 180,000 people are gaining access to good source of water through provision of hand pump boreholes,” he said. ” In the same way, 29,582 people in Ekiti have gained access to safe water through rehabilitation of 65 hand pumps in Gbonyin. 965 pupils from four schools now have access to child and gender friendly water supply. “We have also brought improvement to 250 towns and communities in ODF by providing ten toilets per public. We have also provided technical supports in 313 communities, for them to know various ways to build and take ownership of low cost latrines and how to repair them in case of damage. The Coordinator of Community Led Total Sanitation, CLTS, in Gbonyin, Kayode Eleso, said many residents were arrested and prosecuted for engaging in open defecation, particularly in Ado Ekiti metropolis; while efforts, were also on to compel every household to have toilets. He regretted that low manpower in the sector was responsible for the noticeable inefficiency of his officers , saying records show that no staff had been recruited since Ekiti was created on October 1, 1996. Lanre Ayeni, a CLTS facilitator and staff of Rural Water Sanitation Agency in Ekiti ,said in her presentation that 748 million of the global population, lack access to hygienic water supply . She said it was so regrettable that 1.8 billion people still use contaminated sources of water, which she said has caused a lot of damage to their health and body systems. “Advocacy for open defecation free in Ekiti and good water sanitation is yielding results. Enforcement in the past by CLTS coordinators had failed . Truworths International Ltd. closed its two remaining Nigerian stores last month as stringent regulation of stock imports, foreign exchange controls and rising costs made it too difficult for the South African retailer to operate in Africa’s biggest economy. The clothing company struggled to get stock into Nigeria and cash out of the country, Chief Executive Officer Michael Mark said in a phone interview on Friday. Truworths’ dollar rental bill also soared as the rand weakened against the U.S. currency, he said. The Nigerian central bank has effectively pegged the naira at 197 to 199 per dollar since March by restricting imports of products from glass to wheelbarrows, halting supply of foreign currency to exchange bureaus and all but shutting down the interbank market with trading limits. The country, Africa’s biggest crude producer, has suffered a slump in government revenue as oil prices plunged. South African companies to have struggled in Nigeria include food and clothing retailer Woolworths Holdings Ltd., which announced the closure of its three stores in the country in 2013 because of high rental costs, duties and difficulties getting stock into stores. MTN Group Ltd., the continent’s largest wireless operator, said Thursday that 2015 earnings fell at least 20 percent after Nigerian regulators withdrew services and ordered the company to disconnect 5.1 million customers. Truworths is expanding in countries outside South Africa as economic growth and consumer spending remain under pressure in its domestic market. The Cape Town-based company bought a majority stake in U.K. shoe chain Office Retail Group Ltd. last year, and also has stores in sub-Saharan African countries including Kenya and Botswana. Truworths said Thursday first-half profit climbed 21 percent even as consumer spending in South Africa remained sluggish. The shares fell 4.7 percent to 91.21 rand at the close in Johannesburg, having gained 2 percent the previous day. Office Retail is also looking to expand in Europe. As many as 30 store locations have been identified in the U.K. and up to 15 stores may be opened in Germany in the next two to three years, Mark said. The Nigeria Football Federation (NFF) has released a statement reacting to recent comments by Super Eagles coach Sunday Oliseh. The NFF Executive Committee: "rebuked Oliseh for his unwarranted statements unbecoming of a National Team Coach in both regular and social media." While his apology was acknowledged he was warned over future behaviour. However the statement did not elaborate whether the possibility of a fine had been removed. The NFF's disciplinary committee may still want to sanction him for his outburst aimed at the local media as well as his vociferous former international teammates. Oliseh, 41, apologised to his employers after he caused controversy by posting an extraordinary eight-minute video rant on his own website to hit back at what he called the "insanity" of his critics. In a statement the NFF added: "In line with global best practices, the Committee decided that coach Oliseh MUST henceforth report to the NFF General Secretary and the Technical and Development Committee, and should be ready to defend his entire program before the Committee, including invitation of players and training programs." Oliseh, unpaid for five months, had initially gone public with the money problems affecting his team during the 2016 African Nations Championship (CHAN) tournament - where Nigeria failed to get past the group stages - to the embarrassment of his employers. Nigeria face seven-time African champions Egypt in back-to-back 2017 African Cup of Nations fixtures next month. Meanwhile, Nigeria have begun their search for a competent high-profile expatriate coach for the women's national team after the Super Falcons failed to qualify for the Rio 2016 Olympics women's football event. Former captain Florence Omagbemi, who is expected to assist the incoming expatriate, has been named as acting manager as the NFF hopes to name a substantive manager "within the shortest possible time". Omagbemi will be assisted by former international teammates Perpetua Nkwocha and Ann Chiejine, with Bala Mohammed as goalkeeper trainer. Emmanuel Amuneke, who led the country to a fifth Fifa Under-17 World Cup in Chile last year, has been promoted to the head coach of the under-20 side. Ghana has prohibited some items from entry into its domain, following Nigeria’s foot steps that restricted 41 items from access to foreign exchange. Ghana however has placed a ban on some goods from being imported into the country. Ghanaian Minister of Trade and Industry, Mr. Ekwow Spio-Garbrah stated yesterday that Ghana and Nigeria are said to account for some 68 per cent of the ECOWAS region’s Gross Domestic Product. Nigeria accounts for almost 10 per cent of Ghana’s foreign trade volume, whereas Ghana is listed as the 9th largest trade partner to Nigeria. In spite of the difficulties, Ghana remains Nigeria’s largest trade partner and favourite investment hub in the West Africa sub-region, as Ghana imports the largest share of all Nigerian oil exports in the West African sub-region. “If it does not work then we must also look at countervailing measures…it could be product targeting,” he said. “If we also make it difficult for them to export, then we would have to find common ground,” Kate Quartey-Papafio, CEO of Reroy Cables argued. Even for those who are able to export to Nigeria, you have to get different certificates for different customers and it takes a whole lot of time to get it. It makes the whole thing so cumbersome. You are exporting the same thing but you have to go and get certificates for each of the customers,” she said. Nigeria has used an “Import Prohibition List” to refuse certain goods entry into that country, including a host of pharmaceutical products. Also, the Managing Director of Intravenous Infusions Limited, a pharmaceutical company, Mr Richard Okrah noted that his company could have generated an additional 25% of export turnover from the Nigerian market. “We have been making efforts through our agent in Nigeria to get us off this list. But it is becoming a very difficult job for us,” Richard Okrah told the B&FT by phone. The company, he said, currently produces close to 6million IV fluids of various sizes per year, and that: “We have the capacity to step this up to 15 million because we are installing a new semi-automated plan that should be up and running by the middle of April this year”. He said his company faces no such restrictions from Burkina Faso, Cote D’Ivoire and other countries where it exports to. 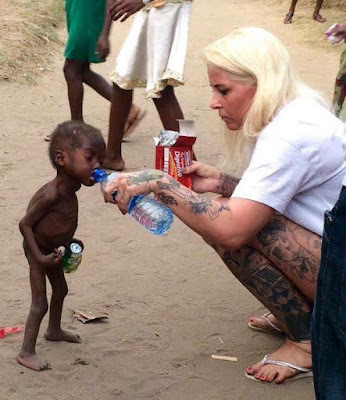 Desperately emaciated, the 2-year-old boy could barely stand as he thirstily gulped water from a bottle. The boy was abandoned by his family, who accused him of being a witch, according to the aid worker who found him in Uyo, southeast Nigeria. Danish aid worker Anja Ringgren Loven says the boy, whom she calls Hope, had been living on the streets and survived on scraps from passersby. When she found him, she says, he was riddled with worms and had to have daily blood transfusions to revive him. "Thousands of children are being accused of being witches and we've both seen torture of children, dead children and frightened children," she wrote in Danish on Facebook, as she appealed for funds to pay for food, medical bills and schooling. Loven is the founder of African Children's Aid Education and Development Foundation, which she created to rescue children labeled as witches. Posting on her Facebook page on February 12, Loven says: "Hope is getting so much better. Already gaining a lot of weight and looking so much more healthy. Now we only need him to talk. "But that will come naturally when he is out of the hospital and starting his life among all our children. It is a criminal offense in Akwa Ibom state, where Hope was found, to label a child a witch, but the practice persists. Attempts to reach Loven and local officials were not immediately successful. Belief in witchcraft thrives worldwide. In 2009, about 1,000 people accused of being witches in Gambia were locked in detention centers in March and forced to drink a dangerous hallucinogenic potion, human rights organization Amnesty International said. In 2014, a report by the U.N. High Commissioner for Refugees stated that human rights violations were taking place in Nepal, leading to violence against women, children, disabled people and the elderly. In 2010, CNN reported on the plight of children in Nigeria who undergo frightening exorcisms and are sometimes killed by their own family. One 5-year-old boy, named Godswill, had been accused of being a witch and neglected, beaten and ostracized by his own family and community. At the time, an Akwa Ibom state official acknowledgedsome cases, but said reports of child rescues were exaggerated. Sam Ikpe-Itauma, of the local Child's Rights and Rehabilitation Network, which rescues children like Godswill, told CNN: "Once a child is said to be a witch, to be possessed with a certain spiritual spell capable of making that child transform into, like, cat, snake viper ... a child could cause all sorts of havoc like killing of people, bringing about diseases, misfortune into family." Ikpe-Itauma doesn't believe in witchcraft and tries to raise awareness in communities gripped by hysteria. He believes poverty is a key factor that drives the belief in witchcraft. He says: "Poverty is actually a twin sister to ignorance." Nigeria's government is pushing more people to invest in the country's agriculture sector which was once a top source of employment in the 1960s. The country wants to diversify from oil reliance as well as ease the rising cost of living. In the north, one company is working to boost the dairy sector and promote locally made milk and yoghurt. The challenges though, are nothing if not stiff. Nigerian President Muhammadu Buhari has sacked the head of the country’s budget office just six months into a four-year term. Yahaya Gusau, the director general of Nigeria’s budget office, will be replaced by Tijjani Abdullahi, a statement from the Nigerian presidency said on Monday. Gusau was appointed in August 2015 for a term of four years but has overseen a period of controversy surrounding the 2016 budget, which was presented by Buhari in December 2015. No official reason was given for Gusau’s dismissal. Abdullahi, a former banker, will be assisted by Ben Ifeanyi Akabueze, who was appointed as special advisor on planning to the minister of budget and national planning, Udoma Udo Udoma. Buhari proposed to raise spending by 20 percent in 2016 to a record 6.1 trillion naira ($31 billion) in a bid to help Nigeria rebound from the plummeting price of oil, which makes up more than a third of the country’s GDP. The budget, however, is yet to be approved by the Nigerian National Assembly (NA) after suffering repeated delays. Copies of the budget document reportedly went missing from the Nigerian Senate in January, delaying deliberations on the budget. Buhari later wrote to the NA to say that the original document contained errors and submitted corrections. Nigerian civic groups have alleged that the budget has been padded out as certain ministries seek to increase their allowances, with examples including 795 million naira ($4 million) being set aside to update the website of an unnamed ministry and 10 billion naira ($50.3 million) in the education ministry’s spending plan having no allocated purpose, Bloomberg reported on Monday. Buhari has launched a crackdown on graft since being inaugurated as Nigerian president in May 2015. Several high-profile figures, including former National Security Advisor Sambo Dasuki, have been arrested in connection with an arms scandal in which $2.1 billion of government fundsearmarked for buying arms to fight Boko Haram went missing. The president of the Nigerian senate, Bukola Saraki, is also facing trial for corruption offenses. The country’s anti-graft agency has also recovered more than $2 trillion of stolen public funds since 2003, according to Abubakar Malami, the Nigerian attorney general and justice minister. Yet Nigerians still appear to perceive their government as corrupt. A December 2015 report by corruption watchdog Transparency International found that 75 percent of Nigerians believed thatgovernment corruption had increased over the previous 12 months. Nigeria's Minister of State for Petroleum Emmanuel Ibe Kachikwu, has announced plans to increase crude output to up to 2.5 million barrels per day by the end of 2016. The government has made reforming the oil sector a priority as a slump in oil prices hammers the country's economy. Nigeria's oil and gas output has been relatively stagnant as big offshore projects have been held up by much-delayed government funding and uncertainty over fiscal terms. Delivering the best its privacy and productivity to the largest App Eco-system, the Canadian phone maker, BlackBerry Limited has introduced into the Nigerian market BlackBerry PRIV secure , the first-ever BlackBerry smartphone powered by Android. While PRIV will provide a choice in operating system to new and existing customers, the phone maker said that it remains committed to the BlackBerry 10 operating system, and will continue to release platform updates focused on security and privacy enhancements. 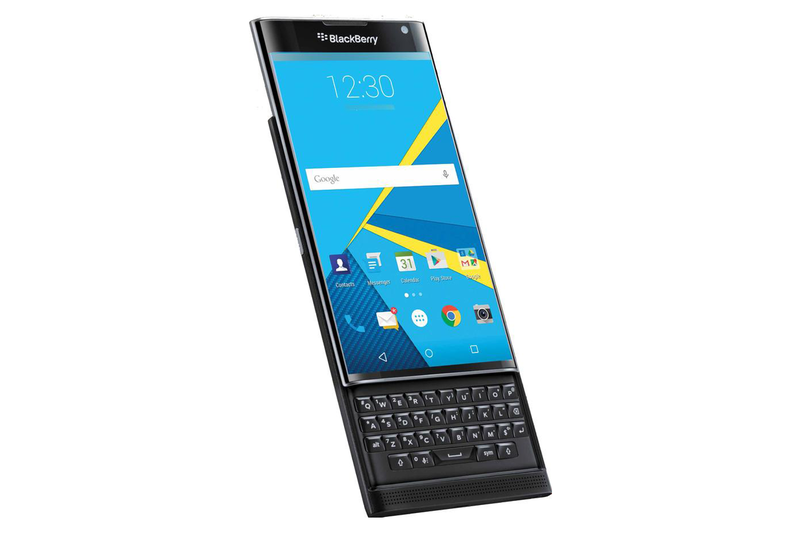 Combining the best of BlackBerry’s productivity, security and privacy features with the wide world of Google Play store apps, PRIV is the epitome of form and function. The smart device , according to the phone maker has been engineered with the world’s finest technology and packaged in an ultra-thin device including a dual-curved screen, touch and physical keyboards, state-of-the-art 18MP camera, and long-lasting battery – with unique tools that allow users to manage and control their privacy. The smart device offers the freedom to choose between a virtual keyboard or a physical keyboard for speed and accuracy. A stunning 5.4-inch immersive dual-curve OLED display offers plenty of room to work or play with rich colors, deep black levels and less power consumption. At a resolution of 2560×1440, it sports an incredible pixel density of 540 PPI – 4x the amount of pixels of a standard HDTV. Along the screen’s curved edge is the Productivity Tab that provides an “at a glance” view of the most pertinent info from BlackBerry Hub, Calendar, Task, and Contacts. PRIV has a 3410 mAh battery with enough power to work up to 22.5 straight hours of mixed usage*. Engineered to deliver professional looking photos with minimal effort, an 18MP camera, certified by Schneider-Kreuznach , integrates technologies commonly found in DSLR cameras. PRIV is powered by the Qualcomm Snapdragon 808 processor, a premium-tier chipset designed to offer consumers a superior and compelling user experience along with peace of mind with Qualcomm SecureMSM technology and Qualcomm Snapdragon StudioAccess content protection. Plus, with 32 GB of onboard storage and support for micro SD cards up to 2TB, the new PRIV gives users the flexibility to add affordable and hot-swappable storage to download, install, capture and share as their needs evolve. PRIV comes with powerful speakers and a three-microphone system that delivers a high-quality listening experience. BlackBerry natural sound technology is built in to adapt Wi-Fi and cellular call sound depending upon phone position and background noise, automatically adjusting volume so users don’t have to. PRIV comes ready for work. Android for Work support allows for fast, simple and secure integration with the enterprise environment. Seamless integration with Google Play for Work enables easy access to IT-managed apps. The exclusive DTEK by BlackBerry app for Android monitors and reports on application access to the microphone, camera, location and personal information, enabling users to be confident that their personal data is being kept private. Users can know at a glance when their privacy could be at risk so they can take action to improve it. BlackBerry’s hardware root of trust, a unique manufacturing process, injects cryptographic keys into the device hardware, providing a secure foundation for the entire platform. Keys have been embedded to verify every layer of the device from hardware to OS to applications in order to make sure they haven’t been tampered with. Additionally, thousands of modifications were made to harden the Linux kernel with numerous patches and configuration changes to improve security. PRIV can be integrated with our leading EMM solution, BES 12, which offers cross-platform management of PRIV and other devices; providing a full end to end security solution and secure collaboration applications for business users like Secusuite for secure voice and WatchDox for secure file sharing. 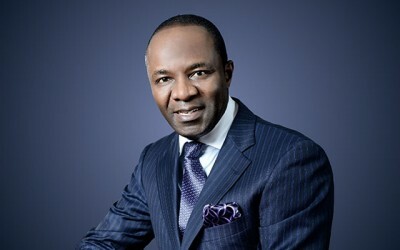 Minister of State for Petroleum Resources, Dr Ibe Kachikwu, yesterday said that although his former job was more rewarding financially, he decided to serve Nigeria for the love of his fatherland. According to him, all hands must be on deck to build enduring institutions that would secure the future of the country and improve on the standard of living of Nigerians. “I believe that this country needs help. I believe that it is about time we began to perform for the young and upcoming. I believe that the sheer capacity of this country is unimaginable. I do not know of any country in the world with our population, our resources, our intellect, our flamboyance, our family nexus, everything is together. “The call to public service for me was unique. I was Vice President of Exxon Mobil West Africa and I was suddenly called to serve. “In serving, I lose a lot of money, if not at least a million dollars every year by virtue of being a minister, but the thing is, I am directed by the voice of God,” he said. Kachikwu said the current economic crunch in Nigeria can be surmounted with the right leadership. He said Nigerians would not feel the impact of the challenges posed by drop in the price of oil if government properly harnessed other natural resources. “Everything in this country is together; the only thing that is not together is leadership and in God’s name, we are bound to change that. “In every little space that you have, and in my own case petroleum, you have to make an absolute change and so I am not worried about price of oil. “It can be five dollars for all I care. I am worried about the direction of the industry; I am worried about changing things the way they have never been done before. “I am worried about creating opportunities that exist; I am worried about improving the standards of living; I am worried about encouraging opportunities in the sector. “I am worried about opening up those opportunities that have existed for years,” he said. Kachikwu called on Nigerians to embrace the new philosophy of the present administration geared towards charting a new course for the country. He called on Nigerians to bury their differences and contribute their quota to the development of the country. Strapped with a booby-trapped vest and sent by the extremist Boko Haram group to kill as many people as possible, a young teenage girl tore off the explosives and fled as soon as she was out of sight of her handlers. Her two companions, however, completed their grisly mission earlier this week and walked into a crowd of hundreds at Dikwa refugee camp in northeast Nigeria and blew themselves up, killing 58 people. Later found by local self-defence forces, the girl's tearful account is one of the first indications that at least some of the child bombers used by Boko Haram are aware that they are about to die and kill others. "She said she was scared because she knew she would kill people. But she was also frightened of going against the instructions of the men who brought her to the camp," said Modu Awami, a self-defence fighter who helped question the girl. "She confessed to our security operatives that she was worried if she went ahead and carried out the attack that she might kill her own father, who she knew was in the camp," he told The Associated Press on Thursday. The girl tried to persuade her companions to abandon the mission, he said, "but she said she could not convince the two others to change their minds." Her story was corroborated when she led soldiers to the unexploded vest, Awami said Thursday, speaking by phone from the refugee camp, which holds 50,000 people who have fled Boko Haram's Islamic uprising. The girl is in custody and has given officials information about other planned bombings that has helped them increase security at the camp, said Satomi Ahmed, chairman of the Borno State Emergency Management Agency. The United States on Thursday strongly condemned the bombings. State Department spokesman Mark Toner said the U.S. remains committed to assisting those afflicted by the conflict and supports efforts to provide greater protection for civilians and the regional fight against terrorism. Boko Haram's six-year-old Islamic insurgency has killed 20,000 people, made 2.5 million homeless and spread across Nigeria's borders. The extremists have kidnapped thousands of people and the increasing number of suicide bombings by girls and children have raised fears they are turning some captives into weapons. An army bomb disposal expert has told the AP that some suicide bombs are detonated remotely, so the carriers may not have control over when the bomb goes off. The latest atrocity blamed on Boko Haram extremists was committed against people who had been driven from their homes by the insurgents and had spent a year across the border in Cameroon. Some 12,000 of them had only returned to Nigeria in January when soldiers declared the area safe. The scene of the killings is 50 kilometres from the border with Cameroon and 85 kilometres northeast of Maiduguri, the biggest city in the northeast and birthplace of Boko Haram. The giant Nigerian conglomerate, Dangote Group is also struggling with a constricted supply of foreign currency as currency regulations remain tight. The Group's Executive Director, Devakumar Edwin says the company is currently relying on income generated from its international cement operations in Ethiopia, South Africa, Tanzania, Senegal and Cameroon; and it is making financing arrangements through export-credit agencies for the first time. Devakumar also said the company is seeking to increase sales and protect market share at its cement unit in Nigeria amid weaker demand, while expanding elsewhere in sub-Saharan Africa and Asia. The company will be building two new plants in Nigeria within three years, with the capacity to produce 9 M metric tons of cement, annually. The group has also gotten regulatory approvals to start building a 3 million-ton capacity plant in Nepal. Twelve senior Nigerian army officers have been handed over to the anti-corruption agency for their alleged involvement in an arms scandal. The army did not name them, but said they included six serving generals. If the Economic and Financial Crimes Commission (EFCC) finds enough evidence against them, they would be tried in a military court, the army said. A presidential inquiry last year found that fake contracts worth $2bn (£1.3bn) were awarded by last administration. It alleged that the money, which was meant to buy arms to fight the Islamist Boko Haram group, has gone missing. The former national security adviser, Sambo Dasuki, was charged in December in connection with the case involving $68m that is alleged to be missing. He was accused of awarding phantom contracts to buy helicopters, fighter jets and ammunition, which he denied. Army spokesman Colonel Sani Usman said the 12 officers referred to the EFCC included three serving major generals, one retired major general, three brigadier generals, four colonels and a lieutenant colonel. The army's announcement follows President Muhammadu Buhari's order last month to investigate 20 former military chiefs and officers over the alleged arms procurement fraud. Several close associates of former President Goodluck Jonathan are also facing trial in connection with the scandal. During the fight against Boko Haram, many soldiers reported that they did not have enough equipment to take on the insurgents. Mr Buhari, who came to power last May, was largely elected on a promise to tackle corruption. Meanwhile the army has released 275 people arrested on suspicion of being members of Boko Haram in the north-eastern Borno state after they were found to have no links with the Islamist group. They included 142 men, 49 women, 22 boys and 50 girls, a spokesman for the state governor, Usman Kumo, told the BBC Hausa service. It is not clear how long they were in detention. Last year, Amnesty International accused the military of maltreating detainees and said since 2011 more than 8,000 people had died in custody during the fight against Boko Haram. Earlier this month, the UK-based campaign group criticised the reinstatement of an army general it accuses of committing war crimes. The military said the allegations were being investigated. As many as 70 people are reported to have been killed by a twin suicide bomb attack at a camp in northern Nigeria. The camp is said to be for people displaced by the violence and fighting involving the Boko Haram group. The attack took place around 85km outside Maiduguri, the capital of Borno state. The incident actually took place on Tuesday, but a breakdown in the telephone system had prevented the information being made public earlier. Nigeria recently announced plans to begin blacklisting manufacturers and importers of sub standard products. Nigerian markets are usually flooded with counterfeit products but the Standard Organisation of Nigeria, SON, says it is now poised to check the trend by naming and shaming the culprits. In an interview with our Nigerian correspondent, Deji Badmus, Director General of SON, Joseph Odumodu said the organization is determined to get rid of substandard products from the country's markets. Nigerian soldiers fighting ISIL-affiliated group Boko Haram are being investigated - for alleged misconduct. That follows a recent raid blamed on Boko Haram, in which at least 86 people were killed. The country's military says it has set up a special court martial. Thousands of Nigerian workers took to the streets on Monday to protest against a 45-percent increase in electricity prices that they said would hit the country's poorest. Power Minister Babatunde Fashola had last week said that the increase in tariffs was aimed at improving power supply in the country that has for decades struggled to keep the lights on. Nigeria's economy has been hit hard by the falling price of crude, which has lost almost two-thirds of its value in the last year. Although the country aims to re-invigorate it's oil dependent economy, many of its citizens are grappling with these changing economic times. The Nigeria Football Federation (NFF) will fine coach Sunday Oliseh US$30,000 for his extraordinary eight-minute video rant over the weekend. 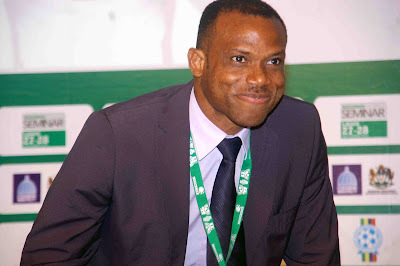 Oliseh looks set to consult with his lawyers about contesting the sanction. The 41-year-old posted a video on his own website to hit back at what he called the "insanity" of his critics. He had come under pressure after Nigeria failed to get past the group stages of the African Nations Championship (CHAN) in Rwanda. The coach has since apologised to the NFF for his outburst aimed at the Nigerian media as well as his vociferous former international teammates. "When I spoke of critics I did not mean the general public of Nigeria! I would never dare refer to my beloved country men as insane!" Oliseh published on his Twitter account. In another Tweet: "How dare I insult 170 Million people who I love and have shown me so much love. Please forgive the error of editing! God bless you all." The country's sports minister Solomon Dalung and NFF boss Amaju Pinnick met in the capital Abuja on Tuesday to discuss the embarrassing saga. Former Nigeria captain Oliseh, who succeeded Stephen Keshi as coach in July, has seen his reign in charge of the three-time African Champions blighted by controversies. Some high profile players have decided to retire since he took over as coach including goalkeeper Vincent Enyeama - Nigeria's most-capped player - who quit after he was replaced as captain. Oliseh, unpaid for five months, had also gone public with the money problems affecting his team during the CHAN tournament to the embarrassment of his employers. The presidency has described as misconstrued the various interpretations of President Muhammadu Buhari’s comments in an interview granted to the UK’s Telegraph newspaper on February 5. In a statement Tuesday by Garba Shehu, the Senior Special Assistant to the President on Media and Publicity, noted that the wave of negative reactions to the President’s remarks about the reputation of Nigerians abroad was a result of incomplete understanding of President Buhari’s point. “President Buhari was asked about the flood of migrants from Nigeria and the fraudulent applications for asylum put in by people desperate to leave their motherland at any cost, and it was this question that elicited his response,” he said, encouraging Nigerians to avail themselves of a full text of the interview, which has now been made available on the Telegraph’s website. Mr Shehu added that it was preposterous for anyone to imagine that the president of Nigeria would describe all the citizens of the country he leads as criminals, when he himself is a Nigerian–obviously not a criminal–and when there are many Nigerians of honest living making their country proud all over the world. “Unfortunately, there are also Nigerians giving their country a bad image abroad, and it is to those Nigerians that the President referred in his comments,” he said, adding that people may play politics and online games with the President’s comments, but the fact of the matter remains that Nigeria’s reputation abroad has been severely damaged by her own citizens. Mr. Shehu called attention to the many efforts of President Buhari to clean up the image of Nigeria, such as the war on corruption, stating that acknowledging you have a problem is the first step to preferring a solution. Nigeria's head coach Sunday Oliseh hits back at the "insanity" of critics in the Nigerian media with an eight-minute rant. The Super Eagles were eliminated in the group stages of African football tournament CHAN, but Oliseh defends his record, and points out he has lost just two of his 14 games in charge of Nigeria. Respected former head of Nigeria's Central Bank Lamido Sanusi has said the government should end its policy of trying to maintain the value of the currency, the naira. Mr Sanusi said the drawbacks of the policy "far outweigh its dubious benefits", the Financial Times reports. 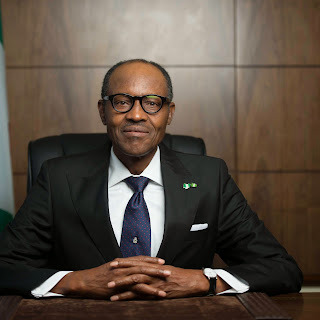 President Muhammadu Buhari told the BBC last week that he was not convinced of the need to "murder" the naira. The falling oil price has put pressure on his currency policy. The authorities are keeping the official naira rate at around 200 to the US dollar, but the black market rate is closer to 300. The government relies on oil exports for vital foreign exchange and the declining price means there are fewer dollars in the country. "The government does not have the reserves to keep the exchange rate at its official level in the market, " Mr Sanusi told the Financial Times. The policy has "never worked" wherever it has been tried, he added. But Mr Buhari told the BBC that he is yet to be convinced that he should allow the currency to be devalued. In an effort to sustain the policy, the government has imposed currency restrictions, and halted the importation of certain goods in order to stop dollars leaving the country. 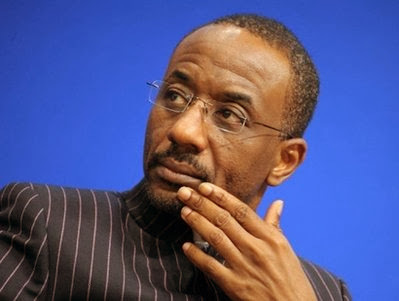 Mr Sanusi was the central bank governor from 2009 to 2014, when he was suspended by then-President Goodluck Jonathan following a row over corruption in the oil sector. He is now the emir of Kano, an influential religious post among Muslims in Nigeria. An oil tanker hijacked by Nigerian separatists has been recovered. Nigeria's navy say the Greek-owned MT Leon Dias is now anchored off the coast of Benin. There's no confirmation yet on the fate of the crew or the hijackers. They seized the ship last week. And threatened to blow it up - unless authorities freed a Biafran separatist leader. The incident has fuelled tensions around the ongoing calls for an independent Biafran state. Nigeria rose up three spots to 63rd place in the FIFA ranking released yesterday, despite getting knocked out in the group stage of the ongoing 2016 African Nations Championship (CHAN) holding in Rwanda. Sunday Oliseh’s men were ranked 66 in the January edition of the monthly rankings. Yesterday’s result means the win against Niger and draw with Tunisia at the soccer championship for home-based national team players have improved the country’s rating in the latest FIFA rankings. Not only that, the win over Cote d’Ivoire and draw with Angola in warm-up matches for the tournament in Rwanda have also added more points to the Super Eagles. However, they are now 12th in Africa with Cote d’Ivoire still the best ranked African team as they are 28th in the world. Nigeria’s AFCON 2017 rivals Egypt are now 55th in the world and eighth in Africa. The FIFA rankings are expected to be one of the things to consider when the draw for the final round of the qualifying tournament for the 2018 World Cup is done in June. Teams will be drawn in five groups to play on home and away basis with the overall group winners qualifying for the World Cup in Russia. The other top ranked teams in Africa are Cape Verde, Algeria, Ghana, Senegal, Tunisia, Congo, Egypt, DR Congo, Guinea and Cameroon. Belgium remain atop the pile beating Argentina to the second position with reigning world champions Germany dropping to fourth place. Former world champions Spain are unmoved at number three while Euro 2016 hosts France climbed up one place to the 24th spot. The three most impressive teams for February’s ranking all come from Asia: Palestine (110, plus 21), Saudi Arabia (55, plus 20) and Korea DPR (95, plus 18) enjoyed the biggest advances since the last world ranking. The next FIFA world ranking will be published on March 3, 2016. Almost a year after she was rescued from Boko Haram captivity by the Nigerian army, Zara John is still in love with one of the militants who abducted her. She was delighted to discover that she was pregnant with his child following a urine and blood test carried out by a doctor in the refugee camp to which she was taken after her rescue. “I wanted to give birth to my child so that I can have someone to replace his father since I cannot reconnect with him again,” said 16-year-old Zara, one of hundreds of girls kidnapped by Boko Haram militants during a seven-year insurgency in north-east Nigeria. But any decision over the baby was taken out of her hands. Her father drowned during flooding in 2010 so her uncles intervened. Some were adamant they did not want a Boko Haram offspring in their family and insisted on an abortion. Others felt the child should not be blamed for its father’s crimes. In the end, the majority carried the vote and Zara was allowed to keep her child, a son she named Usman who is now about seven months old. Zara was 14 when Boko Haram militants fighting to establish a caliphate raided her village of Izge, in north-east Nigeria, in February 2014. They razed homes in the village, slaughtered men, and loaded women, girls and children into lorries. Two of Zara’s brothers were out of town when the militants struck in one of a wave of hit-and-run attacks on villages as well as suicide bombings on places of worship or markets. Zara’s mother fell off one of the overloaded lorries but tried to chase after the vehicle that was ferrying away her only daughter and her four-year-old son but was unable to keep up as the lorry headed on the 22-kilometre journey to Bita. At the time, Bita and other surrounding towns close to the Sambisa forest, were in Boko Haram control. “As soon as we arrived, they told us that we were now their slaves,” Zara recalled. Her days were spent doing chores and learning the tenets of her new religion, Islam. Two months later she was given away in marriage to Ali, a Boko Haram commander, and moved into his accommodation. “After I became a commander’s wife, I had freedom. I slept any time I wanted, I woke up any time I wanted,” she said. “He bought me food and clothes and gave me everything that a woman needs from a man,” adding that he also gave her a mobile phone with his number plugged in and tattooed his name on her stomach to mark her as a Boko Haram wife. Ali assured her that the fight would soon be over and they would return to his hometown of Baga where he intended his new wife to join his fishing business. He told her that he had abandoned his fisherman trade and joined the militant group after his father and elder brother, both fishermen like himself, were killed by Nigerian soldiers. In a June 2015 report based on years on research and analysis of evidence, Amnesty International said the Nigerian army was guilty of gross human rights abuse and extra judicial killing of civilians in parts of north-east Nigeria, calling for an investigation into war crimes. Ali was not at home when the Nigerian army stormed Bita in March 2015 and rescued Zara and scores of other women, taking them to a refugee camp in Yola in north-east Nigeria. The raid came as international scrutiny on Nigeria increased after the high profile abduction of 200 schoolgirls from Chibok in northern Nigeria in April 2014 which caused outrage internationally and sparked the global campaign #bringbackourgirls. Those girls are yet to be found. But Zara and Ali stayed in touch by phone until Nigerian soldiers realised some of the girls in the camp were still in touch with their abductors, seized their phones and moved them to another camp until they were reunited with their families. Zara now lives with her extended family and son in a town far away from Izge. Back with her family, Zara’s male relatives took over control of her life again, with requests for interviews fielded by them and all of her movements monitored by her family. But asked her opinion, she said she would rather be with her Boko Haram husband. “If I had my way, I would retrieve the phone number he gave me,” she said, regretting not committing his number to memory. But Zara is realistic and knows the possibility of being reunited with Ali is very slim. Instead she wants to return to school when Usman stops breastfeeding and maybe then run her own business. “I want to do a business that is suitable for a woman, something that will not take me out of the house,” she said. Nigeria's president Muhamadu Buhari said his government was doing everything necessary to rescue the Chibok girls. Speaking to the European Parliament Buhari reiterated his commitment to finding the girls alive and returning them to their families. .Its been almost two years since some 276 were kidnapped by militants in Nigeria's northern town of Chibok .Despite worldwide condemnation and campaign to have the girls released their whereabouts still remains unknown. Nigeria's wealthy elite would be hard pushed to find a clear road in this traffic-clogged city that would allow them to floor the pedal and get anywhere near approaching top speed. But now sales of luxury sports cars have slumped as Africa's biggest economy and largest oil producer is battered by the fall in global crude prices. A Porsche showroom in Lagos is full of top-of-the-range models selling from $100,000 (£70,000) and upwards. In the good times, high-spending Nigerians would roll into the garage with fat wallets and drive out in a Porsche - now the showroom is deserted. The managing director, Parvin Singh, told me that sales were down 50% last year compared to 2014. He blames the crash on the crude oil crisis. While gas and oil sales only account for around 15% of the country's GDP - "Nigeria is not Saudi Arabia," as one analyst put it to me - the industry has a disproportionate effect on the economy as a whole. Oil revenues account for 75-80% percent of the government's budget and if it does not have cash, it cools overall spending. "The government is Nigeria's biggest spender," says Mr Singh. "When the government stops spending, it has a cascading effect on the corporate sector." Nigeria's new government - elected last year - has grand plans to diversify the economy. It wants to invest in infrastructure such as power plants, roads and bridges, to boost growth. But without oil revenues, the money is not there for this investment, even if government officials say that they will claw back cash by cracking down on corruption. President Muhammadu Buhari finds himself battling rising inflation, a currency that has collapsed to record lows on the parallel market, a stock market slump, and the slowest pace of economic growth in more than a decade. The government has started talks with the World Bank and African Development Bank with the hope of raising some money to help it fund a forecast $11bn (£7.7bn) budget deficit. All this means this nation of entrepreneurs will continue doing business while battling against extraordinary odds. One of them is Gbolahan Eyiowuawi, who runs a catering company after studying at a cooking school in the UK. In order for Mr Eyiowuawi to run his business he needs a generator for his fridges because of power cuts. He must constantly explain to furious customers they have to pay more because of fluctuating prices. And, then, when he has cooked the food, he needs to negotiate Lagos' notorious traffic. His worst disaster: He turned up at a wedding two hours late. "The person hiring our services got really mad as people were already leaving," he told me. "At first I couldn't face the bride but then I gave her a vacuum cleaner and water dispenser and she seemed OK."
The hungry bride may have been happy with her vacuum cleaner but many Nigerians are not happy with their lot. Millions live in poverty and an astonishing two million young people are entering the job market every year. Economist Bismarck Rewane says the government faces enormous challenges. "If the youth see some hope and direction they will put their energies to positive use," he said. "But if they see hopelessness and despair then you will have militancy, insurgency and social breakdown." "It's either you win big or you lose big time." It is a stark warning. Oil may have once buoyed Nigeria but now the slump in global prices is proving extremely painful to Africa's largest economy.